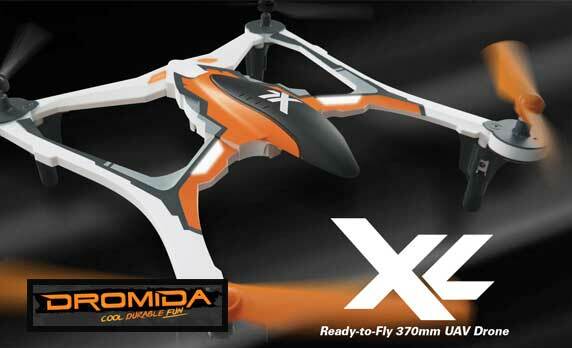 The Dromida XL 360 UAV Drone is one of the new drones available from Dromida. This big fun drone makes flying a breeze and fun time for all. One of the nice new features for this drone is the Auto Takeoff/Landing button. This feature makes it really easy for take offs by making the UAV drone soar up 2 meters automatically as soon as you press the button. Of course, another press lands it right back down, making landings a snap. Dromida is the leader in R/C drones and have many advance features others do not. Like to do tricks with your drone? You can easily pull off flying stunts with the XL 360 UAV by simply using the auto flip. Need to hover in place? You can do that as well. The altitude hold lets you stay in place quick and easy. Our friends at Nankin Hobby have a good supply Dromida Drones to choose from. They have been supplying hobbyist with remote controlled cars, boats, planes and drones for years. Looking for R/C trucks? Nankin has an extensive line of R/C trucks to choose from. They sell all the top brands like Traxxas, Team Associated, TLR, HPI-Racing, ECX, and more! If you are just looking for parts they sell those as well. Everything you need for your Remote Controlled hobby, Nankin has! Along with remote controlled items, Nankin Hobby carries everything you need to build plastic models. From race cars to Star Wars they carry all the top brands. Plus they have all the equipment you need such as exacto knives and modeling cement. If you are form the Michigan area, Nankin Hobby has three great locations to visit, Farmington, Westland and Ypsilanti. You can give them a call at 248-919-0040, 734-722-5700 or 734-961-7575 they are always willing to help you find the right part that you need! Warhammer 40k has been around for quite awhile, and some of us may have no idea on how to play or start collecting them. This series of videos will cover all the basic and how to get started. Warhammer 40k is a tabletop miniature wargame produced by Games Workshop, set in a dystopian science-fantasy universe. Warhammer 40,000 was created by Rick Priestley in 1987 as the futuristic companion to Warhammer Fantasy Battle, sharing many game mechanics. Warhammer has also branched out to the video game world as well, with games available for PC and major consoles. Best Buy.com has Microsoft Xbox One Assassin’s Creed Unity Bundle + $50 Best Buy Gift Card + Destiny Game(automatically added in cart) on sale for $349.99. Shipping is free, otherwise select free in-store pickup if stock permits. Welcome to the future of gaming with this Xbox One Assassin’s Creed: Unity Bundle, which features an Xbox One console, Assassin’s Creed: Unity and Assassin’s Creed IV: Black Flag. Designed to make your experience as effortless and intuitive as possible, the Xbox One console takes gaming to the next generation. This console understands your needs and anticipates them, so that you can lose yourself in other worlds, embark on epic quests, join bloody battles and engage in intense combat with such authenticity that you’ll forget you’re not truly there. But the Xbox One goes beyond providing the ultimate gaming experience and expands the horizons to all of entertainment. 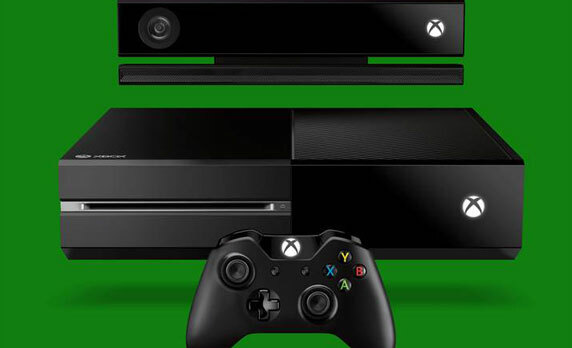 Join the future — it’s happening now with this Xbox One bundle. 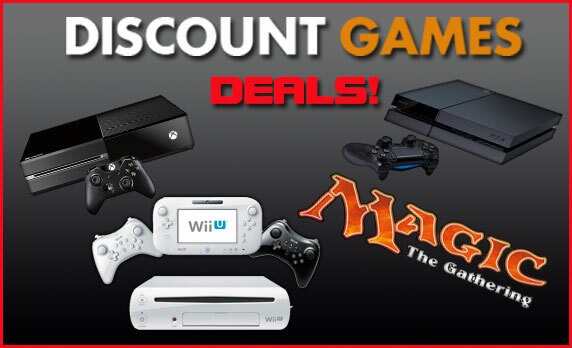 Click Here for Amazon Holiday Game Deals! Amazon currently has a huge selection of Video Game deals, with up to 25% off select video games. 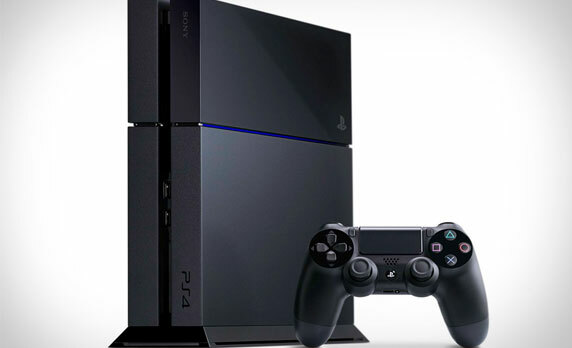 Great games to choose from for all systems like Xbox One and PS4 among others. These Holiday sales will not last, so get yours today! The latest chapter of the legendary fighting franchise is exclusive on PS4 and PC. Cross-platform play will unite Street Fighter fans into a centralized player base for the first time ever. More will be revealed in the coming months so stay tuned for more details! 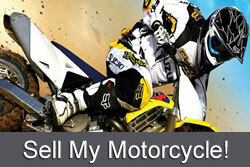 Stop playing around if you need to sell your motorcycle online, get a quote from us.